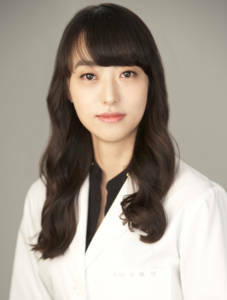 We are pleased to introduce you to Hye-Yeon Choi, M.D., M.S., Ph.D., a stroke neurologist from Seoul, South Korea. Dr. Choi is a visiting Assistant Professor of Physiology and Biophysics at Weill Cornell Medicine and a new Member of the Englander Institute for Precision Medicine. Dr. Choi earned her professional degrees from Yonsei University College of Medicine in Seoul, where she also completed her Internship and Residency in Neurology, as well as her Clinical Fellowship and Research Fellowship in the field of stroke. After completing her training she continued her clinical practice, including research and teaching, at Kyung Hee University Hospital. During her residency she came to New York as a visiting resident at Columbia University’s Division of Movement Disorders, and later worked at an Alzheimer’s disease center at New York University. Hye-Yeon Choi, M.D., M.S., Ph.D.
What are the clinical challenges in caring for a stroke patient? Ischemic stroke is somewhat similar to coronary artery disease, but it is very heterogeneous. Treatment is highly time-sensitive since the brain can become permanently damaged when blood vessels are blocked. For example, a stroke patient should receive IV therapy within 4½ hours, or intra-arterial therapy within 6 hours after the occlusion, or blockage, occurs. For intra-arterial therapy we can often remove a clot from a blood vessel within 12-24 hours after the stroke. Despite improved efficacy of reperfusion therapy, where the flow of blood is restored to the brain, the number of patients treated for acute stroke remains disappointingly low. And there is often a mismatch with higher reperfusion rates but lesser rates of functional recovery, potentially due to futile recanalization. Those are most challenging problems in stroke care. What excites you about stroke research? The variability and pace are quite interesting. Compared to the other neurologic diseases, I think the prevention techniques and treatment of stroke are developing faster and are very promising. When I was a resident we didn’t remove blood clots from the blood vessels of a stroke patient, a procedure known as a mechanical thrombectomy, we just used chemical agents (intravenous and intra-arterial). In the past 3-5 years, mechanical thrombectomy has shown profound improvement. And imaging now allows us to really see how a stroke is affecting brain function. What do you hope to achieve during your time at Weill Cornell Medicine? Now that I’ve joined the Englander Institute for Precision Medicine, I’m studying why some patients are poor candidates for aggressive treatment even though they are in the therapeutic time window. Poor results might be due to a patient’s vascular status and their comorbidities, and perhaps because of their genetic background. I want to study why these differences occur. Also, a majority of patients cannot benefit due to the short time window for treatment. I’d like to find an optimal treatment strategy for those patients. I believe that precision medicine can teach us how to care for the more difficult cases. My long-term research goal is to improve outcomes for ischemic stroke patients through better treatment and prevention. I believe precision medicine is the right approach because it may provide the individualization of diagnosis and treatment for each patient. I hope my research leads to published findings that have a positive impact on stroke treatment and prevention. I’m very happy to be at Weill Cornell Medicine and the EIPM in New York, one of my favorite cities!